Police are investigating the cause of a fire which destroyed an out-building in the grounds of a school. 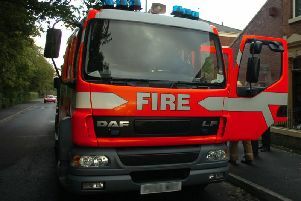 The alarm was raised around 7pm tonight at Astley Park School in Harrington Street, Chorley. Two fire crews were deployed but they could not save the building from being completely gutted. A police spokesman said: “Lancashire Fire and Rescue Service have successfully tackled the blaze located in one of the outbuildings of the school. Officers have appealed for anyone with information about the blaze to contact them on 101 or Crimestoppers anonymously on 0800 555 111.